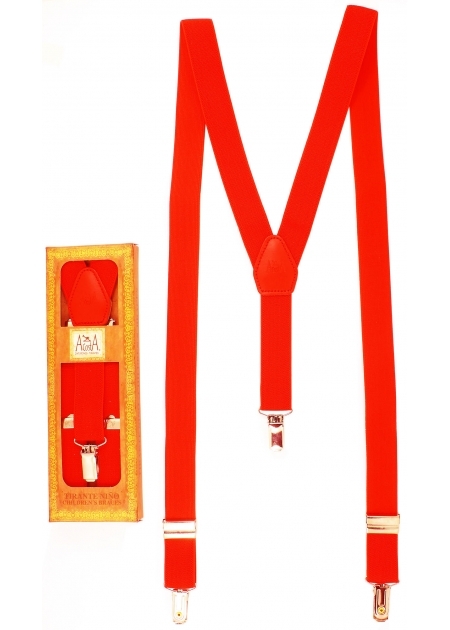 Top quality children's red braces with two firm metal clips in the front and one clip at the back. It is suitable for children between 6/7 years to 13 years. It is adjustable to suit different children to a maximum height of 5 feet 4 inches / 165cm. The braces is elastic and is joined by a real leather patch. It is made in Spain and come with a presentation box to help prevent the elastic from degrading over time.